Authorities today began evicting immigrants from the cramped makeshift refugee camp dubbed the Jungle in the port city of Calais in northern France. French Interior Minister Bernard Cazeneuve said 2,318 people were removed from the sprawling camp today, including 1,918 adults, who were sent to 80 refugee centers across France, and 400 unaccompanied children, who were taken to a temporary center in Calais. It was a "first step" that proceeded "calmly and orderly," he said at a news conference this afternoon. Officials are scheduled to bus away the remaining 4,000 or so camp residents by the end of the week. 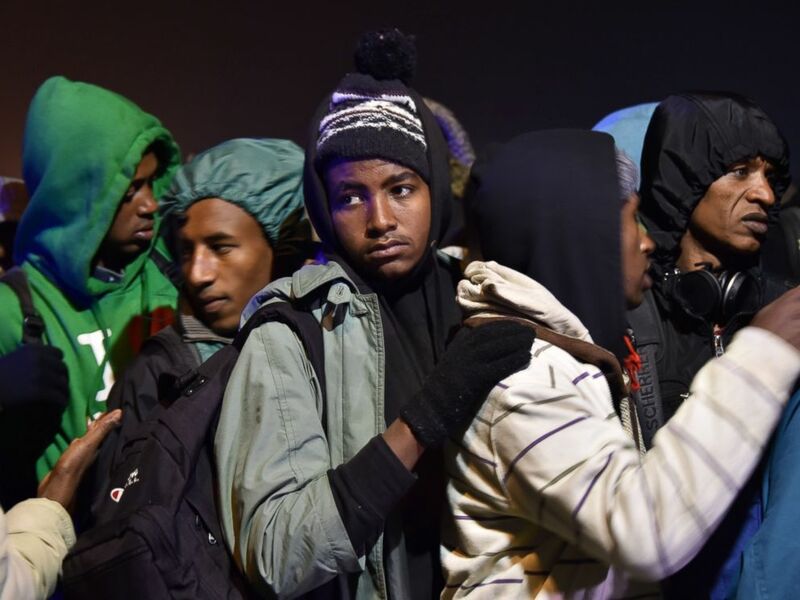 French officials say there are about 6,500 migrants at the camp, but aid groups on the ground estimate there are more than 8,300 residents, according to The Associated Press. 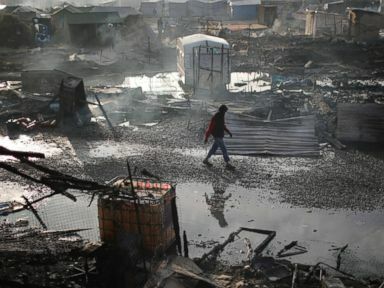 The current incarnation of the Jungle arose after a center for displaced women and children opened in Calais in January of 2015, and the camp has raised humanitarian concerns over its squalid living conditions. 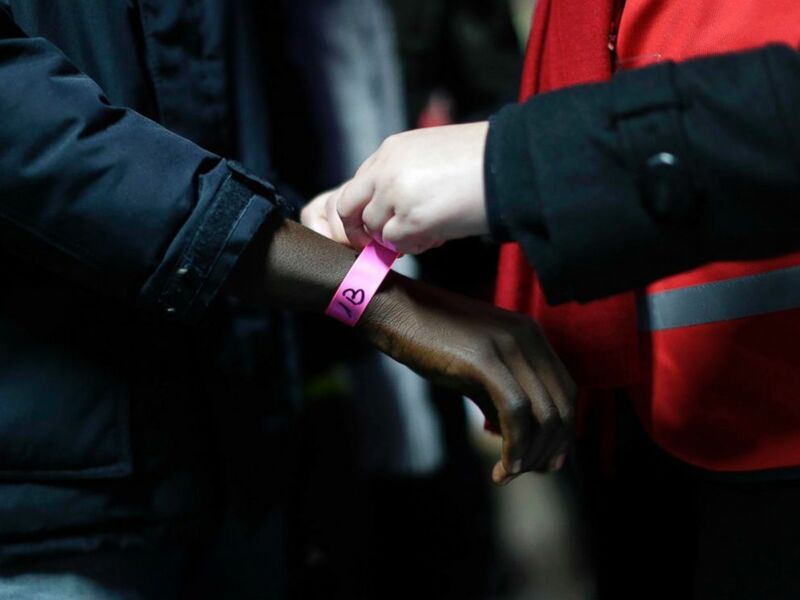 A wristband is attached to a migrant at a processing center in the migrant camp known as "the Jungle" near Calais, northern France, Oct. 24, 2016. Aid groups and the U.N. High Commissioner for Refugees, the U.N. refugee agency, are especially concerned about the hundreds of unaccompanied child migrants who, the groups say, are at risk of exploitation, trafficking and violence. Help Refugees said in a statement today that 49 unaccompanied children younger than 13 remain at the camp "amidst all the confusion and chaos." Migrants line up for transportation by bus to reception centers across France, from the "Jungle" migrant camp in Calais, northern France, Oct. 24, 2016. Earlier this month the UNHCR commended France's decision to dismantle the camp in Calais, citing "appalling" living conditions but stressed the importance of taking into account the welfare of the camp's hundreds of unaccompanied children. "It is also crucial to pay special attention to the estimated more than 1,200 unaccompanied or separated children in the Jungle, whose best interests have to be taken into account," UNHCR spokesman Adrian Edwards said in a statement. "The Jungle site has been problematic for a number of years, and UNHCR has long recommended its closure,” he added. “Living conditions are appalling, with the most basic shelter, inadequate hygiene facilities, poor security and a lack of basic services." 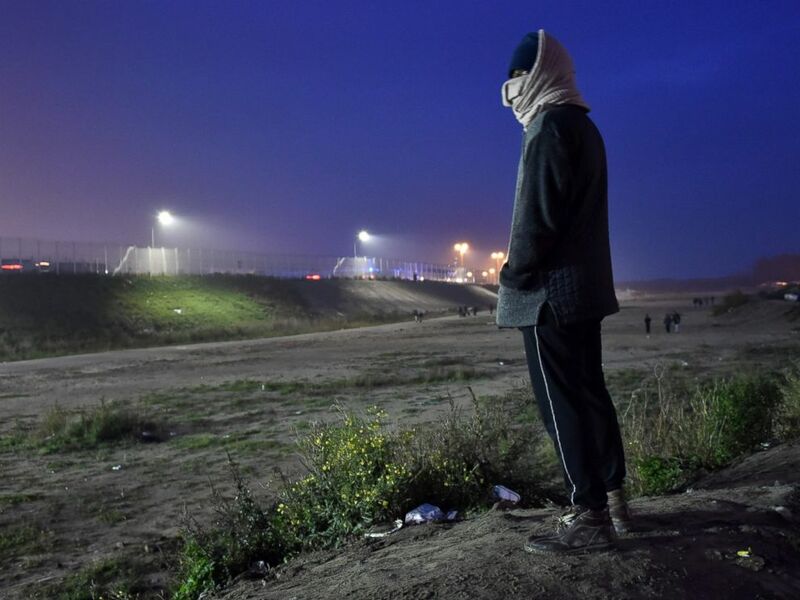 A migrant at the "Jungle" migrant camp in Calais, northern France, Oct. 24, 2016, as a major three-day operation is planned to clear the camp of its estimated 6,000-8,000 occupants.